Many missionaries live and die by the cell phone while they are on deputation. When they get to the field they feel like they have to get a cell phone as soon as possible. However, it only takes a few days without a cell phone to realize that they really don’t need to send 75 text messages and talk on the phone for 3 hours every day. The cell phone starts to lose its grip over the life of the missionary. While a cell phone is still probably important, the missionary quickly learns that it is not a sin to go to the grocery store without the cell phone attached to their ear. A calming feeling of freedom and relief washes over the missionary for the first time in a couple of years. Or, at least as far as the cell phone is concerned. He is quickly learning there are plenty of other things to keep his stress level high. It only takes one thought to bring panic back to the mind of the missionary once again. That thought is the prospect of returning home. It doesn’t take a full-blown furlough to cause cell phone panic to grip the missionary. Even a return trip of one or two weeks will have the missionary looking at all his options for obtaining a cell phone within an hour or two of the plane landing. One of the easiest options you have, especially for a short trip home, is to borrow a family member’s phone. Mom and Dad may each have a phone. Is it possible that one could let you borrow the lesser used phone? Many couples will have two phones, but one of them is only ever used to call or receive calls from the other of the two phones. Check with your mission board or sending church. It is possible that they have a phone that you can use for a short time. Of course you would probably be expected to pay for the service, but it keeps you from having to go through the hassle of getting the service put into place. If you do borrow a phone you need to remember that not all incoming calls are for you. Answer appropriately. If someone calls and thinks they have a wrong number you have to remember that the caller was expecting to hear your mom’s voice, not yours. There are several prepaid phone companies. Many phones can be bought and activated within a few minutes. Instead of giving a list of providers, here is a list of things to look for when comparing providers. When talking about prepaid phones in this list I am specifically talking about phones you can buy and add credit to. This can be done either through purchasing a card at a local store or recharging the phone’s minutes via a credit card over the phone or through a website. If your stay in the US is a few weeks or less, then you may not be concerned about the best rates long term. Your main concern should be on how quickly you can activate and use the phone. When you need to use the phone longer than a month or two then you should do more in-depth shopping and comparing options. Is there an activation fee? It may be included with the cost of the phone. Activation fees are not necessarily bad, but you have to see if the cost of the activation fee is offset by a lower price per minute for using the phone. Price and availability of the phone and features you need should be considered. If your stay is short, then buying a cheap feature phone is a reasonable option. If you need advanced calendaring features then you need to look at more expensive phones. Your choice of provider may be dictated by the features you require. Do you need a data option? Getting email on your phone comes at a cost. Not all prepaid providers give you the option. Will you primarily be making voice calls or sending text messages? Choose a provider that gives you the best price for the type of communication you will be using. Some providers give you free incoming texts while others dock your credit amount for each message you receive. Watch out for providers that charge a connection fee per call. If your calls will be primarily short conversations to arrange family meetings, then a per-call connection fee can burn through your credit quickly. However, long phone calls to update pastors on your progress may benefit from the cheaper cost per minute that the connection fee provides. Along with per call connection fees, some providers charge you a daily connection fee. Each day you use the phone you will pay a surcharge from your credit just for the privilege of making a call. You may need to wait until you get to the area where you will be using the phone to purchase and activate it. Some phones come with a SIM card that can only be activated with a phone number in the area code where it is bought. If you buy the phone in a different area code or exchange than the number you want, you may have to wait until the company mails you an appropriate SIM card. If you are home for a short period of time you could waste half your opportunity to use the phone while waiting for the card. These are also prepaid phones, but they work a little differently than the options described above. All the information above should be considered when jumping into a no-contract phone. The most-important difference is that these phones aren’t a good option for any stay of less than a month, but become much more economical for longer stays. You can almost always get a better rate per minute with a monthly prepaid phone than you can with the ones you have to purchase credits for as you use them. These are a great option when you need a phone longer than a few weeks but not long enough to get locked into a contract. Many of the major carriers have monthly prepaid options, but their prices are usually the worst you can find. There are independent companies that sell prepaid service like Virgin Mobile. Also some major retailers like Walmart have their own no-contract phone service. The monthly options will give you a better selection of phones. Some can be full-featured smartphones while others are featureless but free. It is also possible to buy out someone’s contract if you are going to be back in the US for a specific amount of time (but longer than just a few months). To get your hands on a 6 month contract will still require a credit check, but you should end up with a lower cost per minute plan than the prepaid options above. I make no claims as to which one of these is your best option, but two that I found in my research are CellSwapper and CellTradeUSA. With great services like Google Voice you can get a phone number assigned to you that you can forward to any cell phone or home phone you want. This can be easily switched from phone to phone so that you can get incoming calls to a single phone number even though you might be using several phones over a period of time. If you already have a VoIP provider like Vonage, you might be able to forward your regular phone number to a temporary cell phone while traveling in the US. Forwarding a number to your temporary phone gives you the opportunity to use the same phone number for several years even though the physical phone you are using will change. Unless you use a smartphone that lets you mask your outgoing number, you will still register in the caller ID of the person you are calling as your temporary phone number, but anyone can call you at the main number you give to them. Do you have a temporary cell phone suggestion for other missionaries? What about horror stories and warnings you want to share? Leave a comment below as a service to the rest of us. I have been researching cell phones for my upcoming return to the US. Each time I go to the US for any length of time I get struck with the panic I described above. Hopefully this will help other missionaries wade through their options. My parents returned from Indonesia for what they expected to be a short (about 6-months) stay. Not wanting to be tied down to a contract they signed up for a plan that charges 10 cents per minute plus $1.00 each day that the phone is used. However due to health issues their stay has been greatly extended — this plan is costing them a small fortune each month, but due to the fact they have given this number out to so many folks they are hesitant to change. They hope to back soon, but don’t have a date yet. That is one problem with the prepaid phones, they certainly aren’t always the cheapest. I don’t know what the rules are for being able to transfer the number, but they may be able to transfer their number to something like Google Voice and then have their number forward to another phone. This will keep them in that same number for when they come back another time. One of the biggest problems with a contract situation is that you end up with that early termination fee that can be far worse than a high per minute rate. After having a $30 a month cell phone bill over the last year, I am hesitant to go back to a contract plan costing $100 a month. 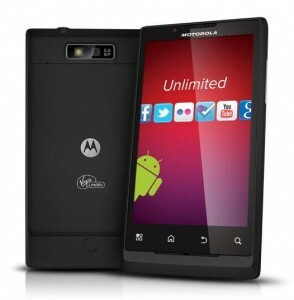 Personally I am going to get a Virgin Mobile phone with a no-contract, monthly plan. This will cost me $35 a month. If it doesn’t work out because of poor service I can look at something different. I plan to use Google Voice as the number I give out and have it forward to my cell phone. I can then change phones as necessary without having to worry about transferring the number around. We just came back from Europe for a year and worked out a deal with T-Mobile. We have a no-contract monthly plan with them for 2-lines for $65 (family plan). I had always insisted in a no-contract option. But that was when I was buying phones outright. When I moved up to a smartphone I couldn’t afford to buy the whole phone upfront. I have even been willing to pay a bit extra per month for the privilege of not having a contract. If the service was good then they didn’t have to worry about losing me. It gave me a bit more pull when I did have a problem. They knew there was nothing to make me stay. Though, I think Sprint was glad to see me go when I moved out of the US and no longer needed their service. Will be home for one month. I have an unlocked Iphone. Can I just buy a sim card? We need internet and unlimited minutes. I even considered ordering it online and having it sent to where we are staying. Anyone know a reliable/economical option for these needs? I’m sorry I did not get back to you sooner. If your iPhone currently takes a SIM card where you are serving, it will probably work just fine here. 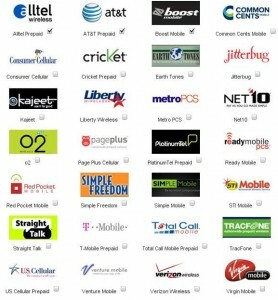 I recommend one of the many pre-pay cell companies that are available now. You can work month to month without any contract. I use StraightTalk and have been pleased. Work . Is there a place that I can donate them so missionaries can use them? I am not aware of a place that coordinates this. But, I would suggest you talk with each missionary that comes through your church and see if they have a use for phones. While they may not need a phone, they may know a pastor on the field who could use one. This will work better with missionaries who have already been on the field.